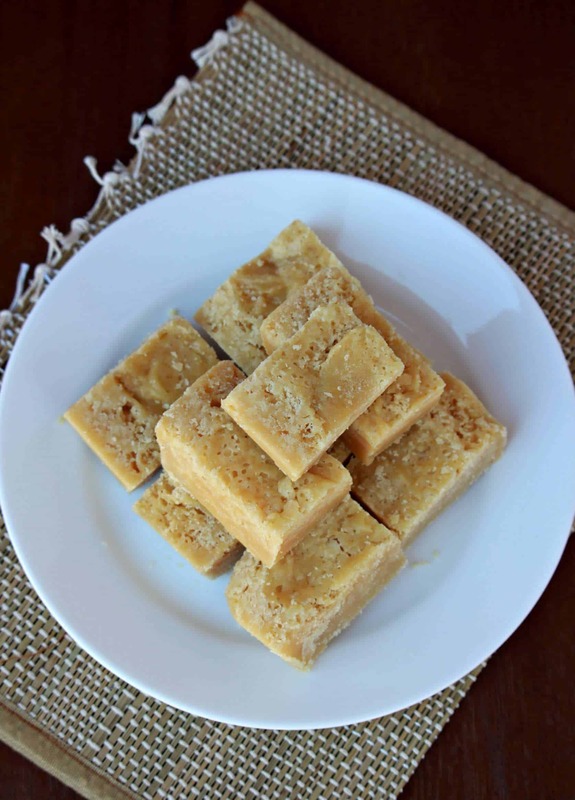 Mysore Pak is the first recipe that I wrote when making a list for this month’s Explore The Flavors Mega BM. Mysore pak is pretty intimidating sweet and even the experts have their fingers crossed when making it. 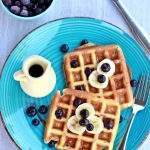 The ingredients are very simple and it just essentially needs 3 ingredients to make it. 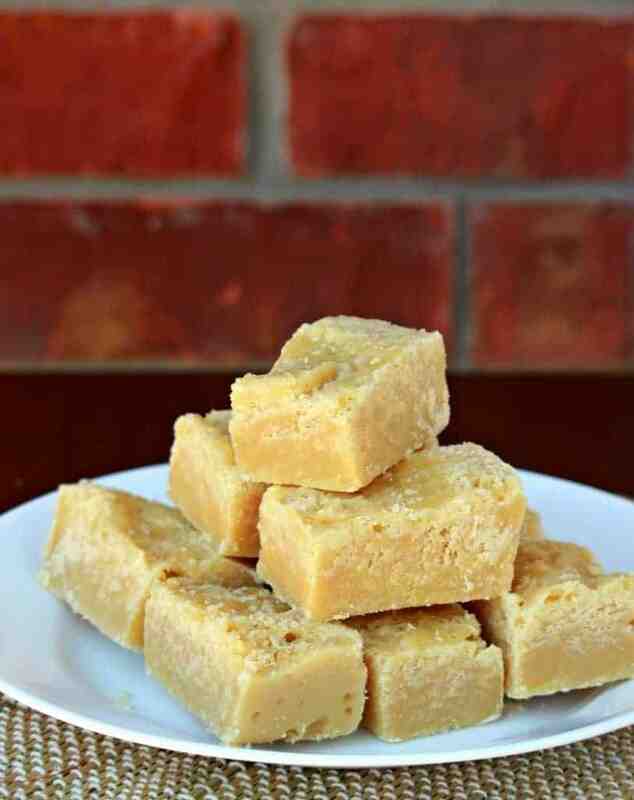 Mysore Pak is very rich and we should not be watching calories when making it. It does need quite a bit of ghee and please do not compromise or reduce the amount as that is what gives the Mysore Pak its distinct taste and texture. There are many recipes that call for oil and ghee together. It will work to make the Mysore Pak, but if you are looking for that authentic flavor, then it has to be all ghee and no oil. Like with all the burfi, finding the end stage is very critical. You take it out early and it will result in chewy Mysore Pak. You take it out late and it will be crumbly. If I was to make a mistake, I would take it a touch later than earlier. It takes a couple of attempt to get the texture right and figure out the end product. But trust me, it is not as intimidating as what everyone says. It takes very few minutes to make it. From start to finish, it took me under 30 minutes to make the Mysore Pak. Just make sure that you are not multitasking when making the Mysore Pak. 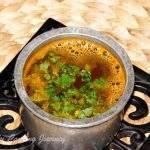 You need to be with it, stirring and poring hot ghee every couple of minutes for that perfect texture. 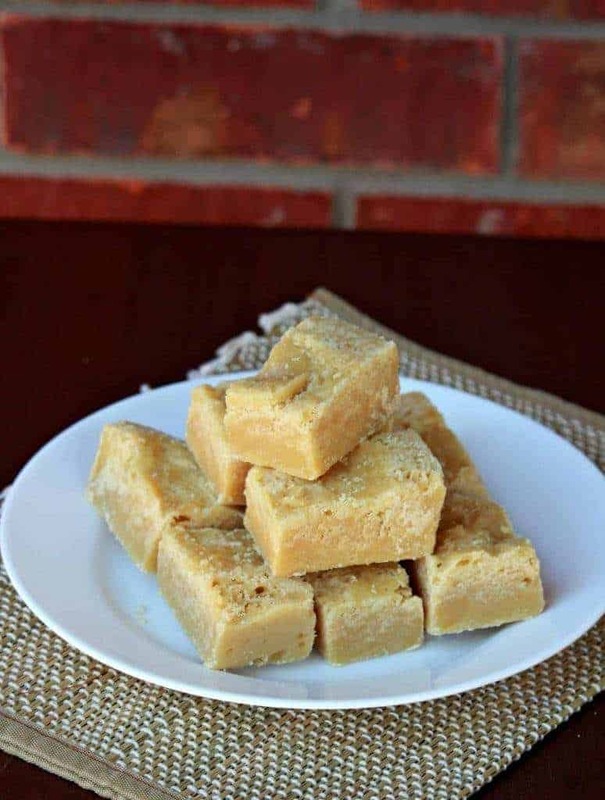 I asked my cousins back in India for recipe and that is when my mother’s cousin gave me the recipe for Mysore Pak and the procedure saying that my mother had taught her long ago and to this day it works great. I was very happy to hear that it was my mother’s recipe. Not that it makes a difference as Mysore Pak just has 3 ingredients, but it still made me very happy. I began my Mega Marathon cooking with this Mysore Pak and I am so happy that it worked great the first time. Measure the kadalai maavu / besan into a bowl. This step ensures that there are no lumps in the Mysore Pak and the besan incorporates easily into the sugar syrup. Grease a metal pan with ghee and keep it ready. 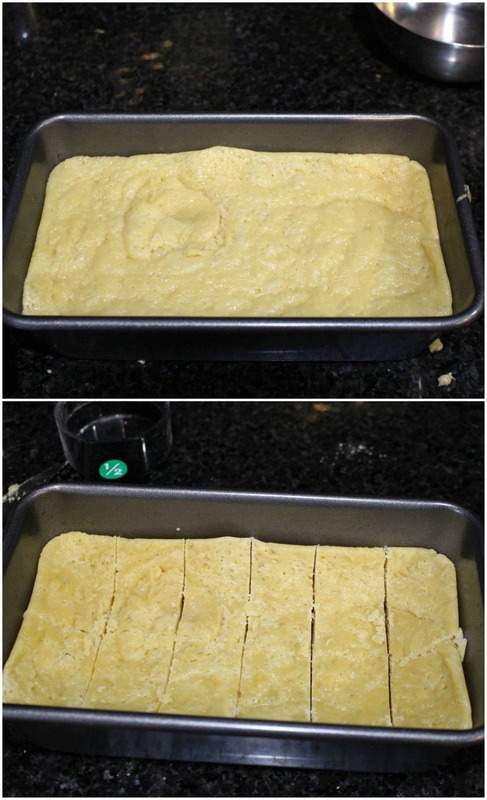 Make sure that the pan is slightly tall as when we pour the Mysore Pak, it will be very foamy and bubbling. I used a 8 x 5 loaf pan. In a sauce pan, heat the nei / ghee until it is melted. Now lower the flame and simmer the ghee. The ghee should be very hot but not smoking. So adjust the temperature in such a way that the ghee is constantly hot. We will be pouring hot ghee into the besan mixture to make the Mysore Pak. In a wide pan, add the sugar along with 1/2 cup of water. Heat the sugar mixture until the sugar melts and starts to boil. Keep stirring the sugar mixture until we reach the one string consistency. This happens quite quickly, so keep an constant eye on the syrup and keep stirring. 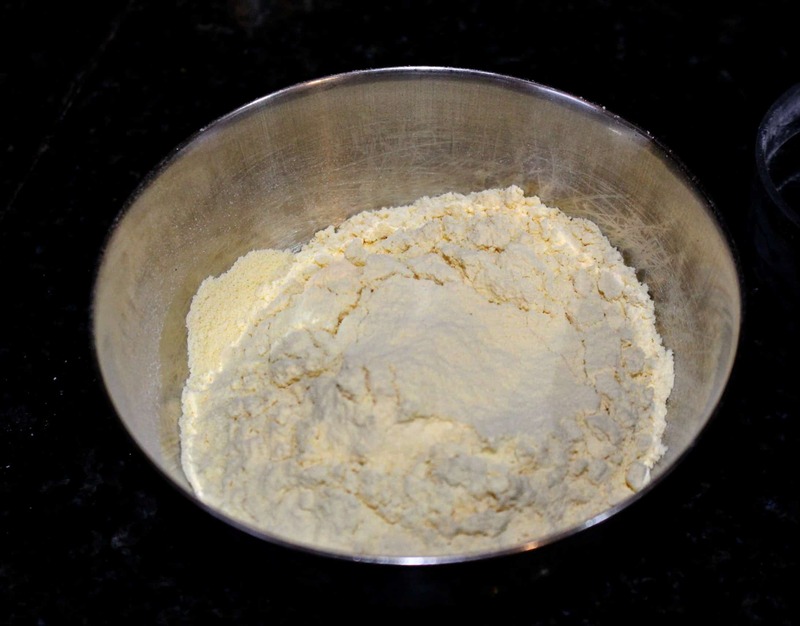 Once the sugar syrup reaches, one string consistency, add the sifted besan in batches and mix well using a whisk. 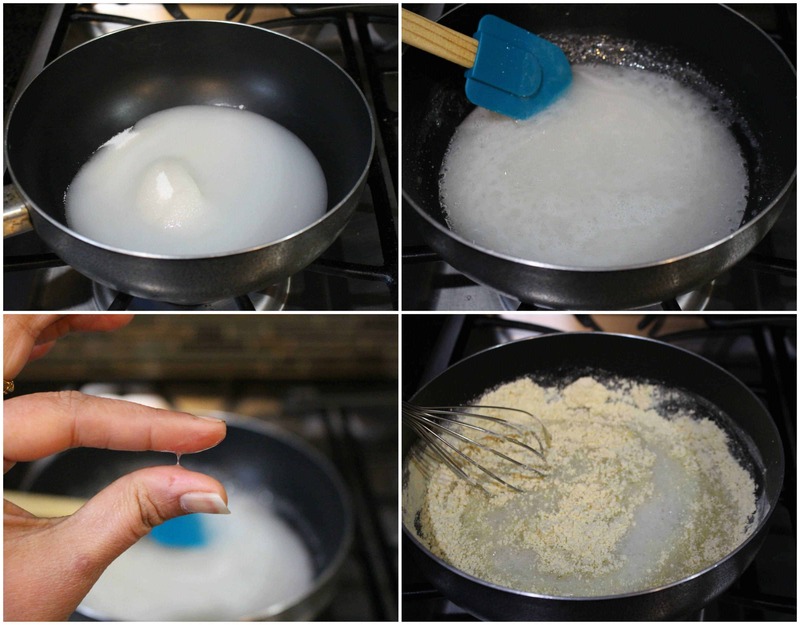 The whisk helps in making the mixture smooth without forming any lumps. Once all the besan is added and the mixture starts bubbling, start adding ladle full of hot ghee into the mixture and stir it to incorporate. 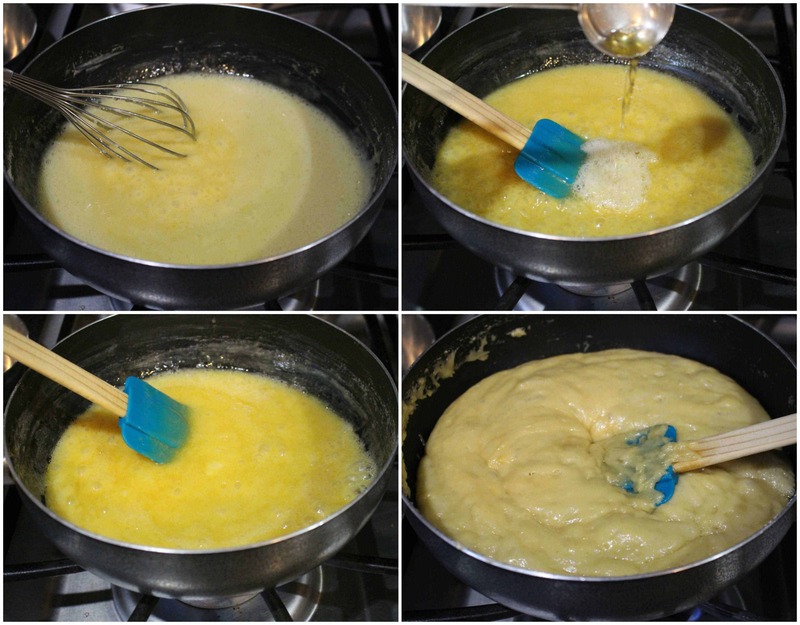 Place the ghee and the besan mixture in adjacent flames, so it is easy to pour and mix. Keep mixing the mixture with one hand. 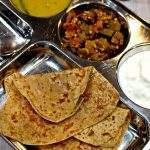 You will notice that the ghee will be absorbed by the besan mixture right away. At this stage, add another ladle full of ghee and mix. 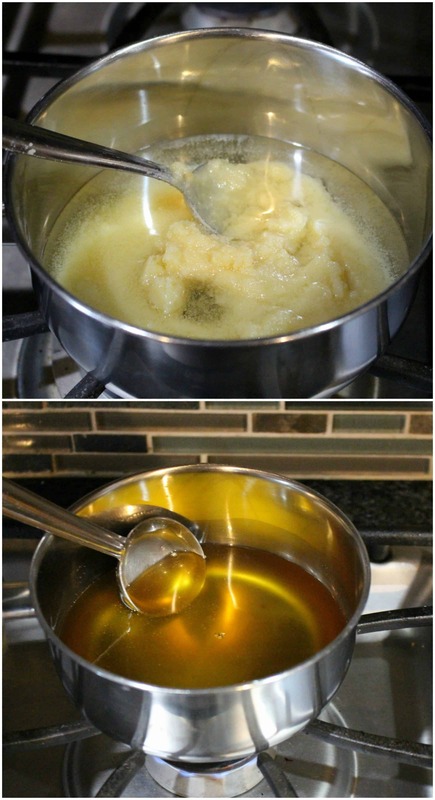 Keep adding ghee and mixing until almost all the ghee is done and the mixture starts leaving the sides of the pan and begins to thicken and bubble up. Once the mixture is very foamy and bubbling, pour it right away into the prepared pan. Identifying this end stage comes with practice and do not be disheartened if it is not the right consistency the first time. Took out early, the Mysore Pak will be on the chewier side. If taken out later, the Mysore Pak will be crumbly, but the flavor will not be compromised. If you have to make a mistake, I would say, remove it later than earlier as it will still be edible then. Do not disturb the pan and let the Mysore Pak cook down for about 15 – 20 minutes. When it is still a little warm, using a sharp knife, make markings to slice the Mysore Pak. Once it is completely cooled down, cut the pieces out and enjoy. Have all the ingredients measured and ready. Grease the pan and keep it ready. 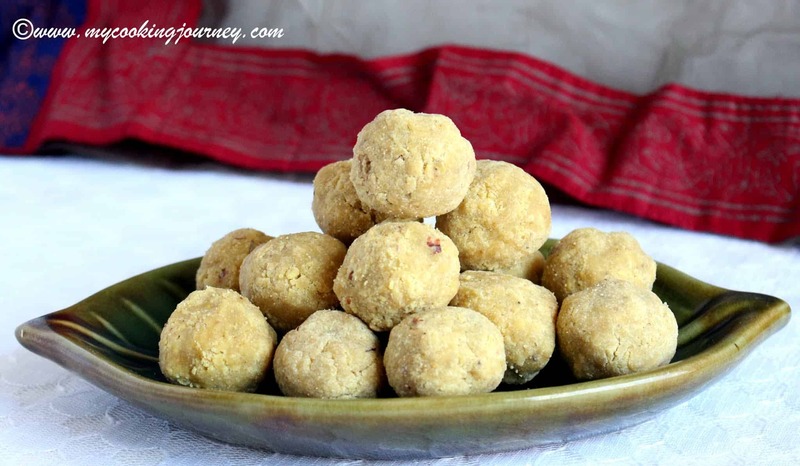 Make sure that you sift the Besan / Kadalai Maavu as it prevents having lumps. Also using a whisk really helps in getting the batter smooth. Pouring hot ghee every couple of minutes gives the Mysore Pak its distinct texture. Please follow it and be careful when doing it. Try to avoid multitasking as it comes around very quickly and you don’t want to miss the last stage. Do not disturb the pan and let the Mysore Pak cook down for about 15 - 20 minutes. When it is still a little warm, using a sharp knife, make markings to slice the Mysore Pak. Have all the ingredients measured and ready. Grease the pan and keep it ready. 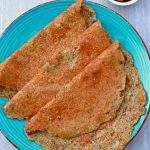 Make sure that you sift the Besan / Kadalai Maavu as it prevents having lumps. Also using a whisk really helps in getting the batter smooth. Pouring hot ghee every couple of minutes gives the Mysore Pak its distinct texture. Please follow it and be careful when doing it. Try to avoid multitasking as it comes around very quickly and you don't want to miss the last stage. My all time favorite sweet,Perfectly made Mysore pak, Sandhya. It’s been a while since i had this and it’s really tempting now. Wish i could grab few from the screen !!! 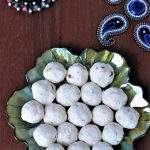 Sandhya this is one sweet that I ask my daughter to send from Chennai..but I ask for just 250 gms..as I am the only one who eats. 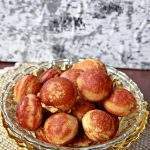 Rest are calorie conscious.I have always felt that it would be a task making this sweet, but the way you have explained, I think it is doable, a little tricky though. The Mysorepak has come out excellent , perfect pieces too..and of course I am drooling. Also the recipe is special..since it is your mom’s..right? real good one! Mysore pak, definitely needs one on one attention. Love the texture and color. Very nice Sandhya. 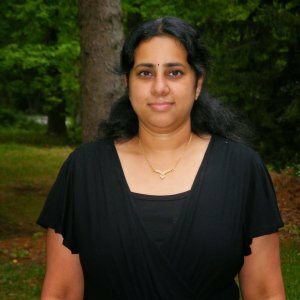 Konjam California ku anupi vainga plz. How prefect those mysore pak looks, and you nailed it prefectly. Wish i get a box of this fantastic mysore pak rite from you Sandhya.. Well done dear. 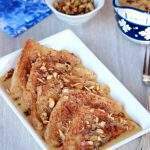 A classic and addictive in the burfi category. I agree it is a tricky business. You nailed it, Sandhya. 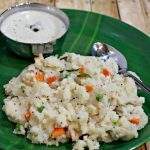 Mysorepak is a tough recipe to nail. You have done an amazing job on that Sandhya. I too have fond memories of Mysorepak where I used to help mom with pouring ghee while she stirs the mixture. They look wonderful..
Looks perfect ,Mysore pak made with lots of love and patience nothing can beat this yummy sweet..
classic sweet!!! i have seen my amma make it innumerable number of times, i love when the maavu flowers while adding ghee!!! i m yet to try, may be for this diwali!! !fingers crossed, you have nailed it sandhya!! 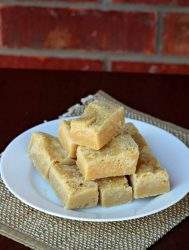 Those Mysore pak surely has turned out great..even though it is just 3 ingredients, getting it right is always a tough thing..you surely got the knack! I like this version of Mysore pak and have it whenever I’m in Bangalore. I haven’t tried making it at home as I find making sweets with sugar syrup a bit scary. However, like your step by step explanation. Makes it easy to follow. wow mysore pak turned out so perfect sandhya , you mom has given you a wonderful recipe as a treasure 🙂 I love the perfect texture of it .. You nailed it !! Mysore pak is sure not for the faintest of hearts – both for making and for eating 🙂 It is such a classic dessert. Yours came out just perfect and those pieces look like they will melt in the mouth. 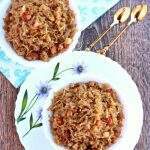 So nice that you could get your mom’s recipe Sandhya. This is one of the sweets that I was hesitant to try because of the consistency of the sugar syrup and if messed up the whole thing is a flop. I gather courage and tried it and to my surprise it came out well! You have explained it so well and in detail and the stack of mysore pak looks so inviting.